Ralf Winslow, lobsterman, was a man of few words . . . and lately, what he did have to say wasn't particularly nice. Fishing and life in general had not been going well for Ralf. 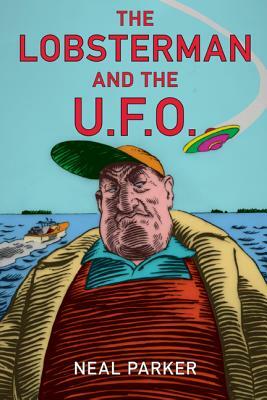 Then, one quiet morning, the lone lobsterman was startled by a mystifying streak of light swooping across the dawn sky. The fiery white band closed with the surface of the water, tearing along the line of Ralf's traps and buoys. Before he could appreciate what was taking place, a steaming saucer the size of a merry-go-round and just as colorful came to rest not twenty yards from his lobsterboat, the beloved Betsy Ann Jolene. From that moment on, Ralf and the universe were changed forever. Captain Neal Parker has skippered over a dozen schooners and traditional craft and in 1986 he purchased and restored the 67-foot schooner Wendameen, placing it into the Maine windjammer business, where he ran tours and charters. He lives in Rockport, Maine, where he builds and restores wooden ship models and writes.